This delicious Asian inspired buddha bowl of goodness is a quick simple, hassle-free meal. This blog post was created in partnership with Earthbound Farm and FeedFeed. As always, all opinions expressed are unbiased and my own. 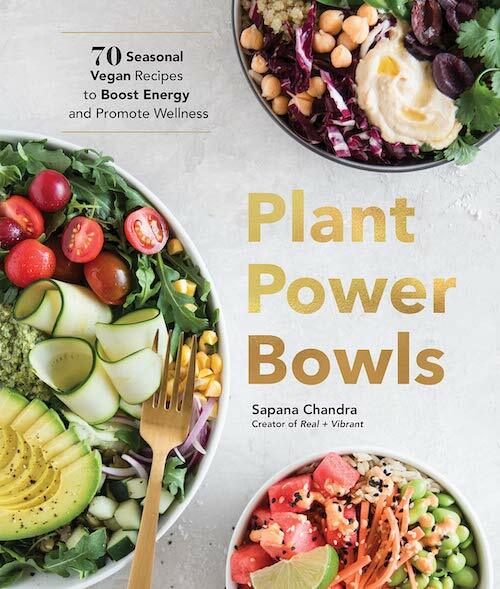 If you’ve been following me on Instagram lately, you may have noticed I’ve been sharing a ton of bowls and salad inspiration this past month. That’s been completely intentional and one of my goals for the year as I try to simplify my meals without compromising on taste and health. One of the easiest ways I’ve found to do this is by enjoying at least one bowl during the day, usually for lunch or dinner. For breakfast, I stick to a nutrient-dense smoothie for breakfast. It’s a great way to use up leftovers, get creative, and fill your meals with vegetables throughout the day. Did I mention how much time it saves? For today’s bowl, I’ve partnered up with Earthbound Farm and TheFeedFeed to share a simple, delicious, and flavor-packed meal. It’s made with Earthbound Farm’s new Organic Asian Chopped Salad Kit. I’ve been buying Earthbound Farm’s produce for years now and absolutely love the quality of their ingredients. Their kits make it even easier to pull together meals. The Organic Asian Chopped Salad Kit is made of cabbage, romaine, kale, carrots and cilantro and accompanied with crunchy toppings and a delicious tahini dressing. 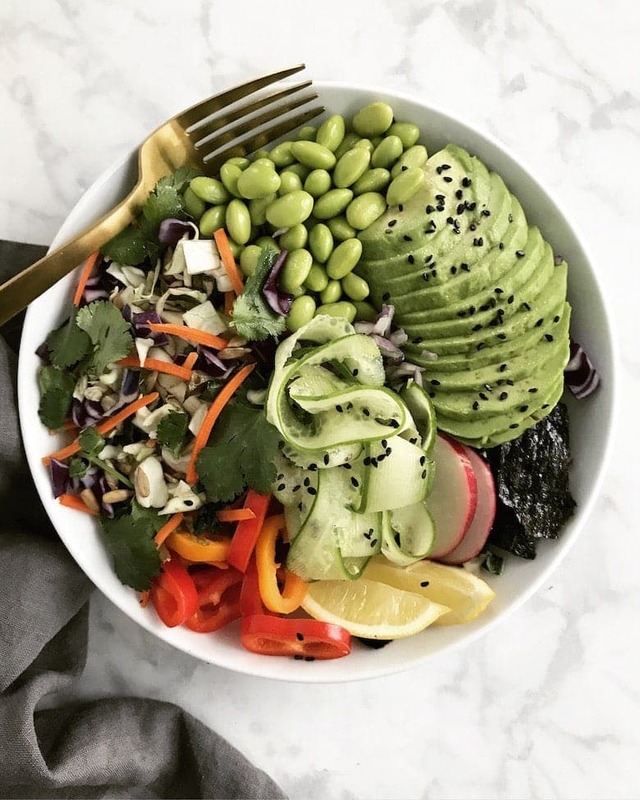 This buddha bowl is packed with healthy fats (thank you, avocado!) and plant-based protein (thanks to edamame! ), and lots of vegetables and flavor. You guys, it’s seriously delicious – you’re going to love it! And as always, If you try out this recipe, I’d love to hear what you think. I love seeing your photos tagged #realandvibrant on Instagram. Thank you Earthbound Farm and FeedFeed for sponsoring this post! This delicious bowl of goodness is a quick simple, hassle-free meal. 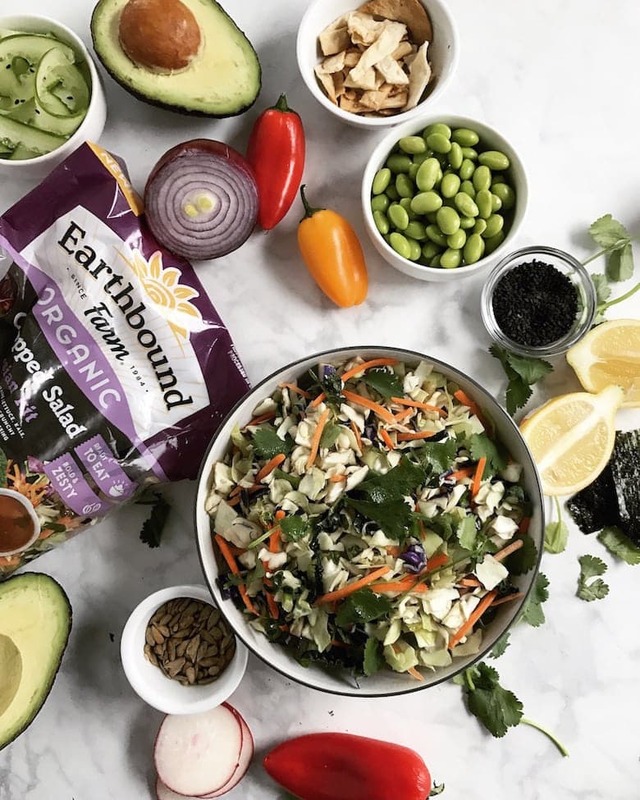 Combine all ingredients in the Earthbound Farm’s Asian Chopped Salad Kit in a large bowl, including the tahini dressing, wonton strips, and sunflower seeds. To assemble, divide the salad into two bowls. Top each bowl with avocado, edamame, red peppers, red onion, radish, nori strips and cucumber. Sprinkle avocado with sesame seeds. Drizzle bowls with lemon juice. Enjoy!